30″ x 22″, Watercolour on paper. Mounted and framed in a wide black wood frame. The Royal Exchange, historically London’s centre of commerce and now a fine example of London’s Neoclassical heritage. 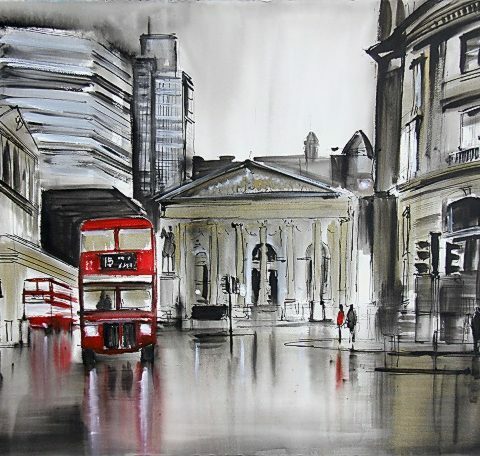 Paul’s free flowing fusion of inks, washes and marks bring the scene to life. Fluid reflections and a looseness in paint application give the painting a sense of the freshness that is often present after rainfall. 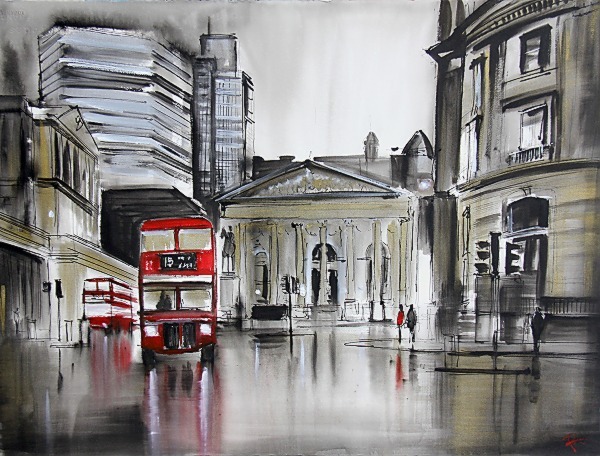 Pops of red finish the painting off, bringing striking contrasts and drawing attention to one of the most iconic symbols of the capital, the London Bus.